Even if you didn't attend Part 1 of the course, you can participate in it. Part 2 focuses on shadow & persona (chapter 5), anima & animus (chapter 6), the Self (chapter 7), individuation (chapter 8), and synchronicity (chapter 9). From the Back Matter: [In] possibly the best one-volume English-language summary of Jung's thought . . . , Murray Stein develops the cartographical metaphor of the title by beginning with the "surface" (ego) of the psyche and exploring successively more complex areas, including complexes, libido theory, shadow, anima/animus the Self, individuation, and synchronicity. The map soon resembles the multidisciplinary chart of a solar system more than it does a flat map. In each subject area, Stein draws heavily on papers that Jung wrote late in his life, but he sets these in the context of Jung's earlier developing thought. 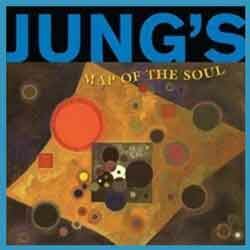 This method allows the author to demonstrate the interconnectedness and coherence of Jung's mature work.